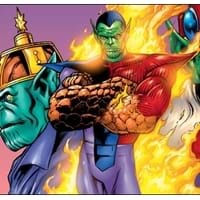 Are you a die hard fan of Skrulls and wondering about Skrulls powers and abilities? You must have faced this question many times and that's the reason we have come up with a list of Skrulls powers and abilities. Some of Skrulls powers are Super human durability and Superhuman equilibrium. Also, find out about Skrulls weapons, armor and physical and mental abilities.